I remember from a couple of years ago that a friend ask me to look for a cheap 1 GB USB stick. I Googled a bit around and found a shop near his place. As my friend is no techy, he was wondering if the stick I found for him was any good. I found an Apacer USB stick for him, but it was an unknown brand for him. I told him he probably had very little reason to worry about that, as the main part of the USB stick is the memory chip and there are not that many manufacturers. So, if you take like a dozen different brands, there's still a pretty big chance that all the memory chips come from the same manuacturer (f.i. Samsung). 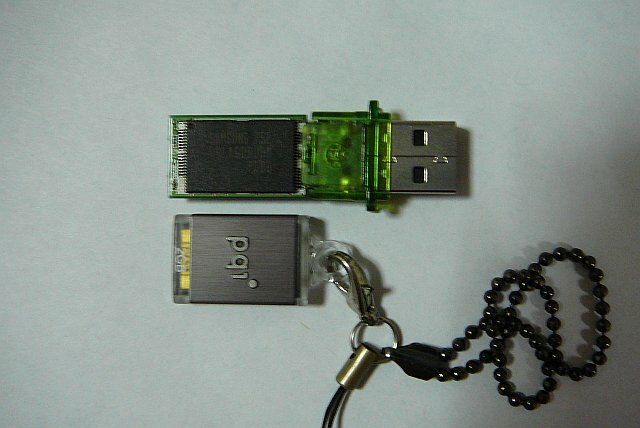 That a USB stick would contain a memory chip comes as no surprise, but what else is in there? 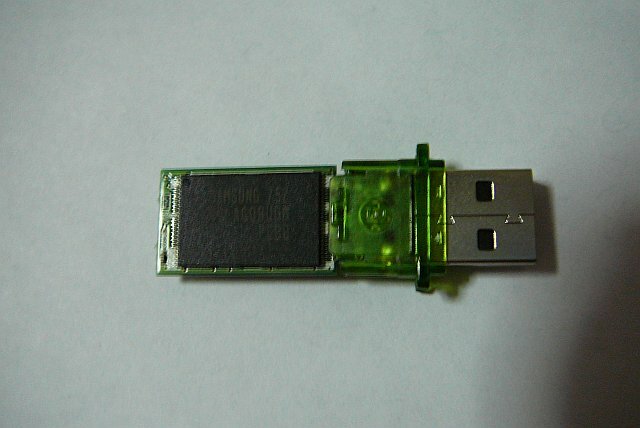 I was lucky enough to have a USB stick that I could open without damaging the casing. Time to have the Apacer AH223 reveal all the goodies! If you look very good at the picture above, you can see the Apacer has a memory chip from Samsung. Just as a comparison, look how this memory chip probably wouldn't even fit inside the PQI stick. Now I couldn't see if there was anything interesting under that green plastic, but I assume it's nothing interesting. Now it's time to see the other side! I guess all the small bits and pieces are like resistors and capacitors, nothing interesting I guess. 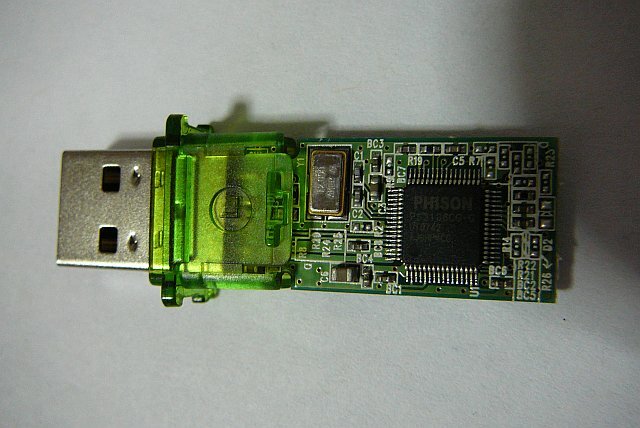 Phison is a company that makes controller chips for USB sticks. I guess it facilitates the communication between the memory stick and the USB connection. Probably it also contains the logic for wear-levelling. The metal looking chip is probably a crystal from the company Aker. It reads 12.000, is that MHz, or KHz, or what else? Remember the times that every CPU needed a crystal for the clock speed? Does this mean you can overclock your USB stick to get higher read and write speeds? Well, I hope you found this inside look very interesting.